Take COMAND of Your Lawn. Take COMAND of Your Course. Take COMAND of Your Grove. Take COMAND of Your Landscaping. COMAND is very unique turbocharged compost. It’s created naturally through a proprietary process of microbial inoculation and stabilization. COMAND helps restore soil health, providing the perfect growing environment for your turf, flowers, vegetables or citrus crops. 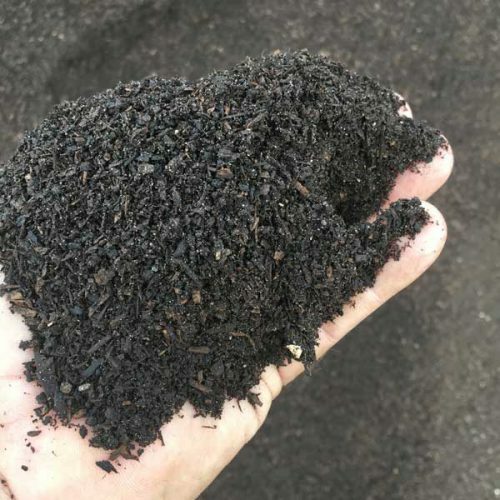 COMAND can be utilized straight, or custom blended with varying amounts of sand to create root zone mixes for golf courses and professional sports turf. These blends are part compost, part sand—COMAND! Your soil should ideally contain a balance of minerals, organic matter, gases, water and organisms that together support plant life. Sadly, our homes are often built on compacted subsoils and our agricultural soils have largely become depleted. COMAND can help restore the soil ecosystem by providing all-important organic matter and beneficial microbes so crucial to soil health. 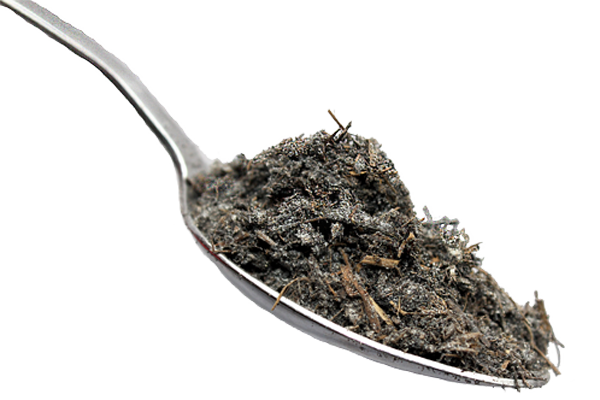 With millions of aerobic bacteria and miles of fungi in just one teaspoon of COMAND, a little bit packs a very powerful punch! Yes, I definitely want to learn more about how COMAND can help me. 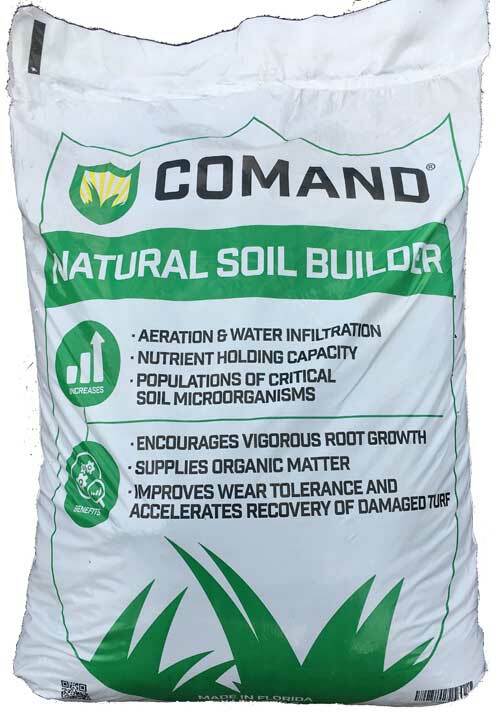 COMAND is a natural source of stabilized organic matter and microbes that rebuilds your soil’s health. Using COMAND, instead of just synthetic fertilizer, has some very powerful benefits. Organic matter aids the structural stability of soils, maintaining pore spaces and improving oxygen transfer and water infiltration rates. Reducing compaction, and improving friability, porosity and water permeability allows roots to easily penetrate soil for nutrients and water. Holds 6X its weight in water which provides greater drought resistance and reduces the necessary frequency and intensity of irrigation. Enables the soil to better absorb and retain nutrients in the root zone while reducing nutrient losses through leaching. Restores beneficial microorganisms to the soil environment and creates conditions for them to flourish. Research has shown that microbial diversity in soil can help to suppress the growth of many plant diseases, as well as parasitic nematodes. COMAND is naturally produced from organic material, so it contains no harmful artificial chemicals. 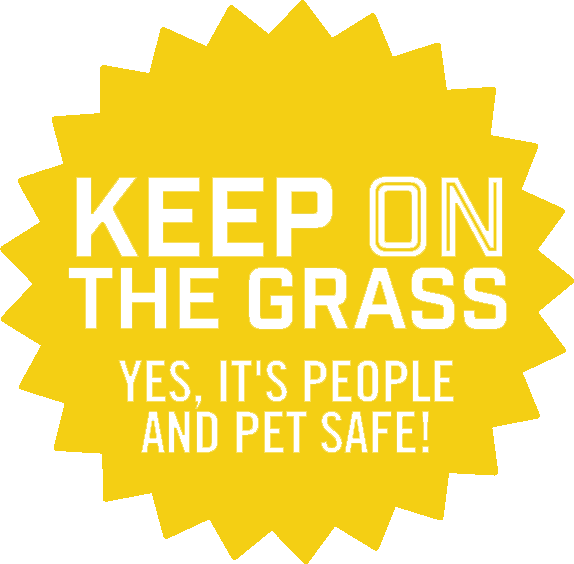 After your lawn is treated with COMAND feel free to Keep ON the Grass! One resident had turned off their irrigation for a month! We watered it for a week, applied COMAND and it returned back to normal without any additional nutrients. I’ve applied COMAND to St. Augustine, Bahia, Zoysia, and Bermuda and have seen significant improvements in health, vigor, and color. It’s done wonders to the garden beds and residential lawns in Sarasota. We sodded a week ago with COMAND and it took off like crazy! I’ve seriously never seen anything else perform like this.